Bella IMC has won the cabinet construction component for a 25-story, multi-family luxury housing unit in the Washington, D.C., metro area. The 6,500-cabinet complex is to be completed by March 12 using the slide-to-lock Lockdowel fastening system that allows for faster manufacturing and assembly. 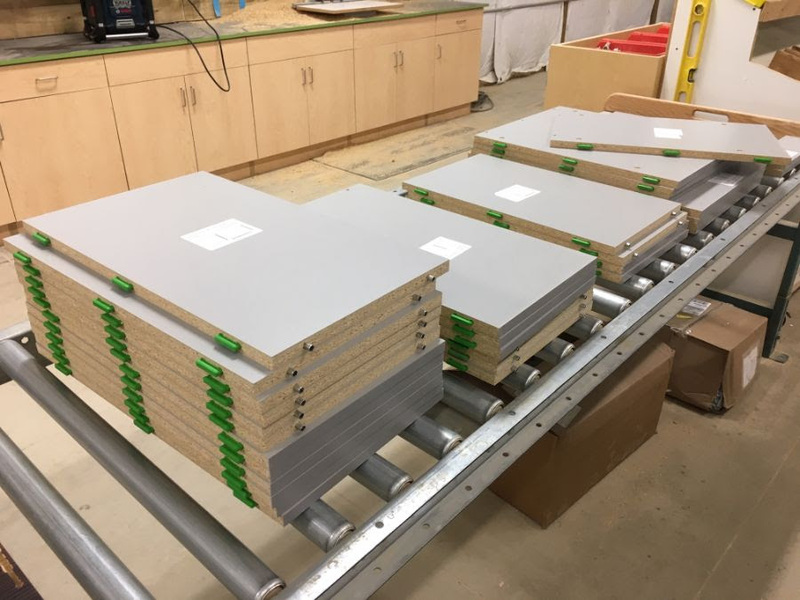 “Because of the quick turnaround we achieve with Lockdowel we are going to complete this job on time and possibly before the deadlines,” Grant Weber, Bella IMC director of operations, said. “Lockdowel surpasses all other fastening methods in speed of construction to enable us to compete against overseas companies.” Grant added further. Bella IMC (Innovative Modern Cabinetry) is offering cabinets that can be assembled on site. Bella IMC allows for quick changes in looks and designs by easily replacing the doors and hardware.